Tawnia is a born and raised Calgarian. When she was 10, she was diagnosed with Crohn’s disease. She had one of the worst pediatric cases in southern Alberta, and at the time her parents tried everything from medications to acupuncture and anything that they were told that might help. When she was 18 she was admitted for emergency surgery and while healing was put on a trail drug that they were told might not work. After years of ups and downs, Tawnia had an opportunity to work for a chiropractor. Only knowing what she was told from family and friends about chiropractic, she truly did not know what it was about. Kelsey’s chiropractic journey began when she was 9 years old when she had her first adjustment by Dr. Jeff. Since then, Kelsey and her family have been practice members at South Trail Chiropractic. 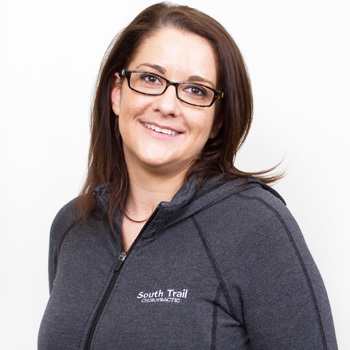 Being a part of the family at South Trail Chiropractic, Kelsey began to develop a strong interest in the body and how Chiropractic has a profound effect on the way the body functions and heals. 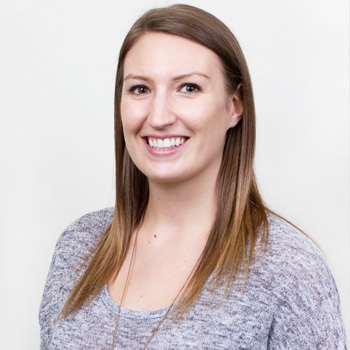 After graduating from high school, she went on to complete her Bachelor of Science in Kinesiology with a career in Chiropractic, specifically at STC always on her radar. Kelsey loves working at STC and witnessing the miracle of chiropractic. Her areas of interest include how functional movements and nutrition along with chiropractic aid in the body’s ability to heal itself. During the week you can find her at the gym, spin class, yoga or in her kitchen cooking/ baking up everything healthy. On the weekends she’ll be in the mountains snowboarding, snowshoeing, hiking, mountain biking, or stand-up paddle boarding. Find out how our caring team can help you live a happier, healthier life. Contact us today!